The big day is almost here and you are on the hunt for something tasty to bring to your watch party. I know, that’s me every year. So I thought I’d pull together this Game Day Recipe Round Up so you will never be without ideas of what to make for the big game again! We actually aren’t hosting a party this year, but I’ll be referencing these recipes for many different events all year long! And, let’s be honest – I’ll be making some of these even though we’re not hosting a group. 🙂 Read on for more than twenty dips, apps and mains that you can make for the big game or a game night or really anytime at all! What are your plans for the big game? Do you usually host folks? Even if you are just attending a gathering, any of these options would be a welcome addition to a party! Super Bowl or Puppy Bowl? I’m a fan of both!! Looks like a very tasty list of recipes! Thanks for including me! The pudding sounds really interesting. We aren’t hosting a party but will be out and about. Thanks for sharing these, they look great. 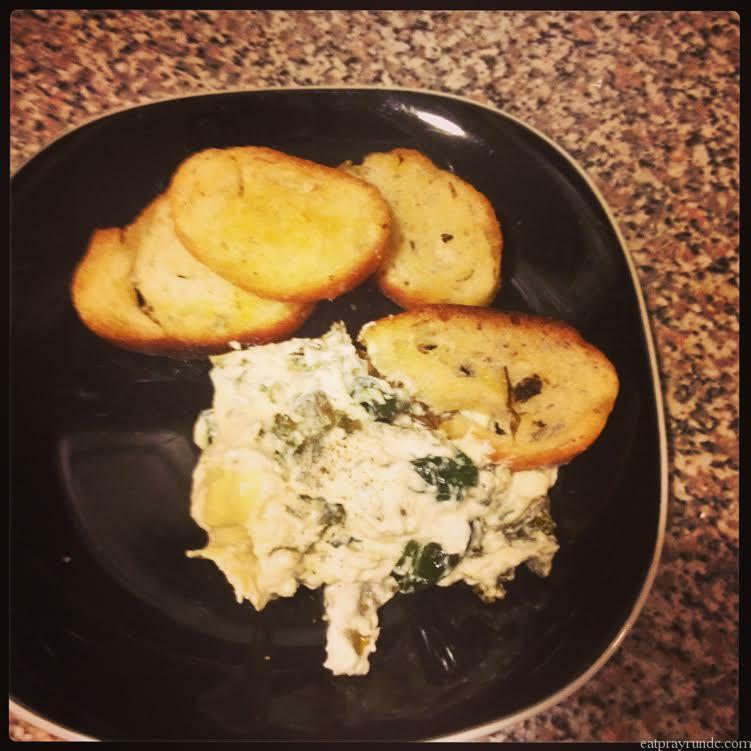 Thanks for including my Buffalo Shrimp Dip! 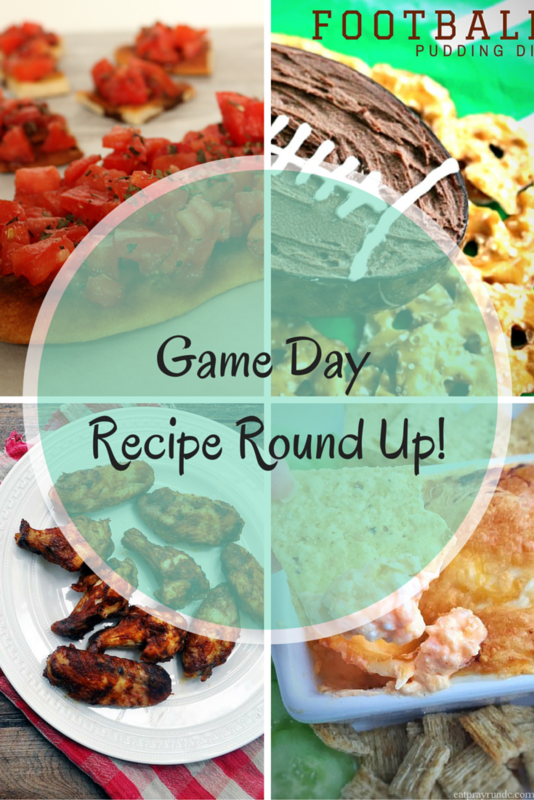 Lots of great game day ideas here! I love game day dips! I make a bacon cheese dip that is pretty popular. And you know I love puppy bowl, but I love the actual game as well! I may have to bring work home this weekend, so not sure if I’ll go to a Superbowl Party or not. We used to have friends over for the Super Bowl years ago, but now it’s just Bill and me since our sons have moved away. We will be hosting a big Italian dinner party the night before, but even though we’ll have leftovers, I’ll make our favorite TexMex layer dip. I couldn’t imagine watching a Super Bowl without it! Enjoy the game! Too many good ones to chose from. I always look forward to the big game, but this year I’m going to be home alone with the kiddos, so I don’t think I’m going to be able to watch much of it. Might have to DVR it then watch after the kids go to bed. But I’m definitely going to watch the puppy bowl. the puppy bowl is THE BEST! I love it so! PINNED!!!! I want to eat all of this and more! Not sure what our plans are for the game but obviously it will always involve food. Thank you! Thank you for including me! I foresee several of these in my future! Thanks so much for including me 🙂 I wish the Super Bowl was a full week so I could make all of these recipes! All I can say is yum! I have to admit though, we’re probably going to go the super unhealthy route this Sunday…it’s such a rare treat to get pizza and wings and I don’t think I’d be able to resist! Thanks so much for including my recipe! All of these recipes look deeeelish! Puppy Bowl then SuperBowl and wings – my favorite football food.